With tax season behind us, I thought it would be nice to step away from the usual tax tip post and share something different. While some taxes can be confusing when figuring out whether or not someone is expected to pay, there are a few special ones on the state and local level that are a bit baffling for some taxpayers (and a bit fun for those who don’t have to pay them). I can’t list all of the bizarre taxes, but I want to list a few of my favorites. I can see how some taxes are used to encourage or discourage certain behaviors. Some states have high taxes on goods like cigarettes that discourage some from smoking. California may have had a similar thought with their tax trying to get residents to choose fresh foods instead of grabbing snacks at the vending machine. 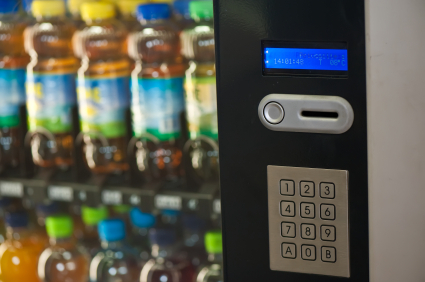 Fresh fruits are exempt from the tax, but if you get them from a vending machine, the food is taxed 33%. When you want fresh fruit and you live in California, go for the fruit stand instead and save yourself some money. Speaking of food, I found a NY tax on the books that charges customers about 8 cents if they have their bagel sliced or prepared. A Bruegger’s Bagel owner didn’t find out he was out of compliance until after an audit. Besides having to pay the taxes, his customer were very upset about the increase in price. Moving off of food, I found a tax that can hit lots of people that want to change their looks. If you live in Arkansas and you’re planning on having electrolysis to remove unwanted hair, getting a tattoo, or even just getting your ears pierced, then be prepared to pay a bit more taxes. The state charges a 6% tax on these services. This tax isn’t bizarre per se, but it’s a different way to handle a typical county fee. As a Raleigh resident I was relieved to find out that we avoided a pet tax that Durham residents have to pay. If you own a cat or a dog that was spayed or neutered, you have to pay $10/year as part of your personal property tax. If you haven’t had your pet fixed, it will cost you $75. Before it was a tax, the county’s animal control sent out bills to collect the fees. One reason the switch was made was to increase payment compliance. I’d love to hear from you about bizarre taxes. What is the weirdest tax you’ve heard about? Have you paid for a bizarre tax? What was it for? There are some advantages of paying taxes. By paying taxes we contribute in the development of our country. With having advantages there are also many disadvantages of the taxes. Many companies take the taxes for without any reasons, or takes more amount of tax on products. Many of the times we have to pay the taxes unexpectly in the food zone or on purchasing various items.